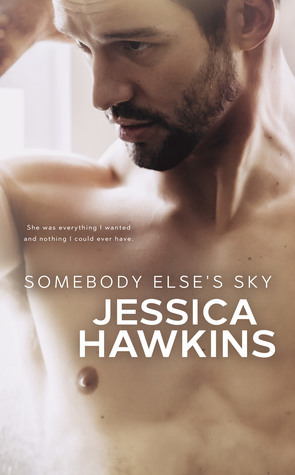 Jessica takes us on another roller-coaster ride of emotions in Someone Else’s Sky. While I am waiting patiently for Move the Stars to release in October, I’m not sure where Jessica plans to lead us next. Someone Else’s Sky broke my heart. Someone Else's Sky is more Manning’s book where Something In The Way was Lake’s story. It makes me wonder if Move the Stars with be an equal balance of all three characters or Tiffany’s chance to tell her side (OMG it was hard to type her name instead of that B!@ch). I will admit that I was disappointed with SES. I was looking for more… more what I’m not exactly sure. More scenes with Lake and Manning, more tender moments. A different outcome at the end. Hope for a future with Lake and Manning together instead I was left with my heart broken and all hope lost. I’m not sure where Jessica plans to take book three. I am a little nervous based off the ending of SES. In my opinion the whole love triangle should stop now. She loves Manning so fiercely that she needs to let him find happiness even though it breaks her heart. Lake needs to find a love that will Move the Stars.